The DC Supernatant is a board I tried a few years back but got on it with the gang for another demo dash with the 2019 model. 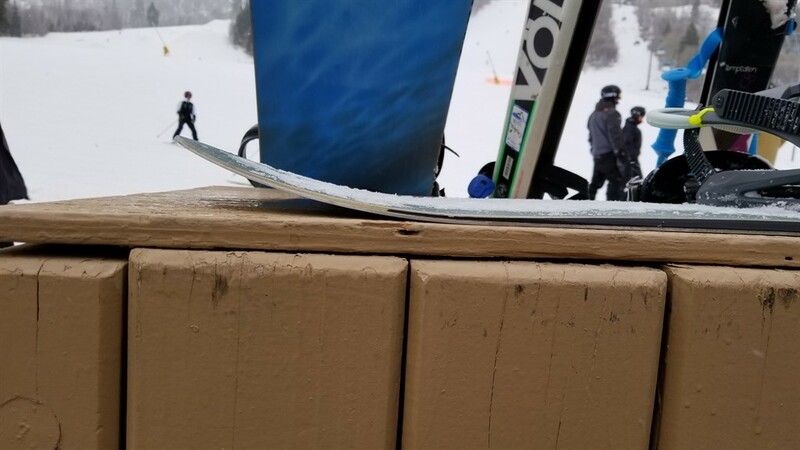 Other than not so strong edge hold it is a fun overall ride that has lots of spring out of a turn, is fast and has a very mostly camber, pretty back foot weighted surfy slashy feel to it even though it doesn’t have a ton of taper. In good conditions, this would be a great board to go out and make some pretty hard turns on and I had more fun on the 2019 model over the 2017 model I tried a few years back. You can see from the camber profile pics here that this is a mostly camber board with some taper. The camber is mellow but felt underfoot for sure when on snow. The DC Supernatant is a DC’s tapered directional surfy addition to their line that I had a pretty good time on. I’d like to see what it could do in other conditions and felt it isn’t a bad choice if it appeals to you. We try to get as many images of the DC Supernatant, but forgive us if they're not all there.